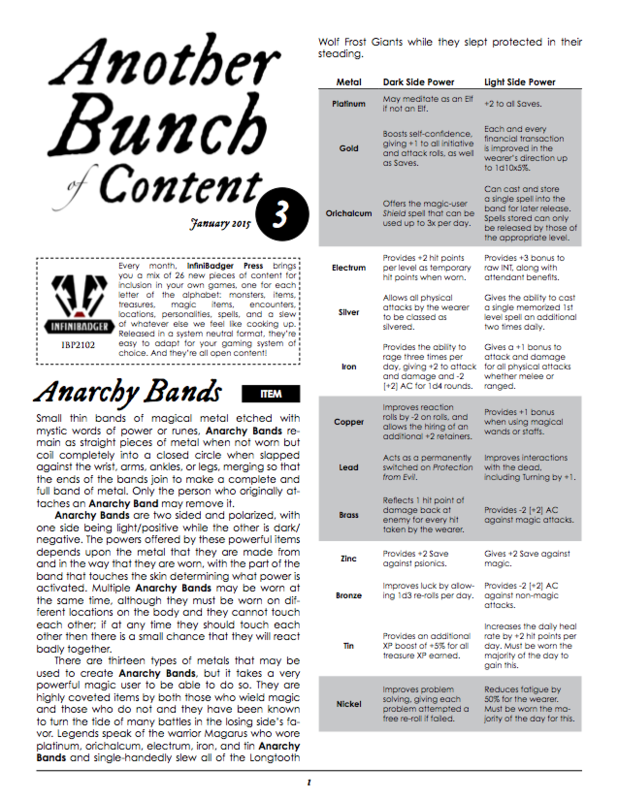 The third installment of Another Bunch of Content has been released on both DriveThruRPG and RPGNow. This monster-heavy issue includes riding dinosaurs, fly-headed demons, beast-men, and all manner of items with special powers. As with other issues in the series, a wide range of different content is given, one for each letter in the alphabet, giving 26 pieces of open content that you can use and reuse in your games and products. The issue costs $1.25 but can be bought as part of a 6-issue subscription, which will get you the three issues that have been currently released right now, and the remainder when they are available.